Most people who go through the process of applying for Social Security or SSI disability will be denied the first time. That's usually 8 out of 10 people who will be denied the first time they apply for SSD or SSI benefits. The chances of getting approved for benefits go up for those who take the time to appeal. More specifically, getting a case at a hearing in front of an Administrative Law Judge (ALJ) is where a claimant will have his/her best opportunity at winning disability benefits. If your disability claim has been denied, you need to understand how the appeals process works. 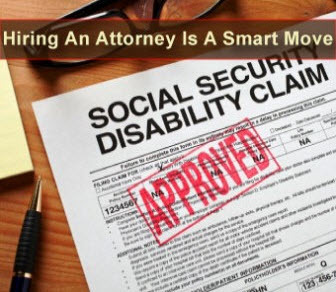 You have little chances of winning disability benefits if you don't appeal the initial denial and know the steps to take to win the appeal. That's where Stewart J. Diamond, Esq., Attorney at Law will work on your behalf to appeal your case. You have 60 days from the time of your denial to submit an appeal claim. Don't wait. Time is a factor. Call Mr. Diamond today. We get paid only when we win your case and our fees are closely regulated by the government. This means that you don't have to hesitate to pick up the phone and call us. It means that you don't have to put off getting the help you need just because you don't have the money to retain a lawyer. We offer free office or phone consultations. Our staff is standing by to assist you!